Decius Caelius Balbinus was a senator of Rome at the time of the deaths of Gordian I and Gordian II in Carthage. The Senate, after having supported the Gordians and declared Maximinus I as a public enemy, had little choice but to find someone to defend the Senate itself. It was finally decided to elect two of their own members, Balbinus and Pupienus, two ex-consuls, to be joint rulers of the empire. This was an arrangement reminiscent of the consuls of the old republican era. They were certainly not young men but instead both were in their late 60s or perhaps even mid-70s at the time. At the same time, the Senate created the Counsel of Twenty vigintiviri to assist the two emperors in the task of opposing Maximinus. Balbinus and Pupienus were two patricians and there was much resentment of the rich, noble class during this period of economic and political strife. A crowd had gathered at the Capitol and blocked the two new emperors from leaving hurling stones in their protest. The demanded that the new emperor should be selected from the Gordian family which was very popular among the people. The Senate had little choice and sent for the young 13 year old Gordian III, grandson of Gordian I and nephew of Gordian II. 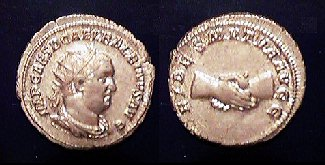 Thus in a compromise move, Gordian III was given the rank of Caesar. 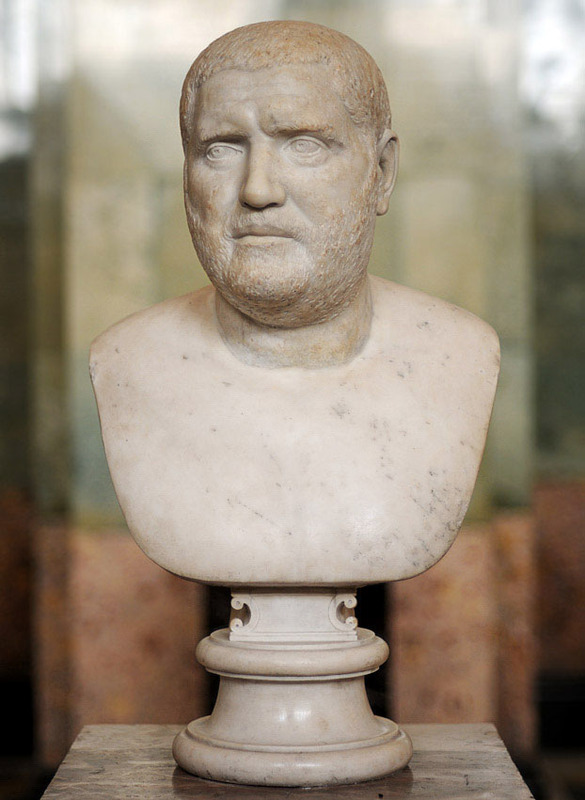 Balbinus took up the task of civil administration, while Pupienus gathered an army to oppose Maximinus I who was now advancing on Rome itself in February 238 AD. By this stage, Maximinus had reached the borders of Italy itself and the situation was becoming critical. Maximinus came to the city of Aquileia on the coast of Northern Italy. The population closed its gates and refused him entry. Maximinus then began the siege of Aquileia. The Counsil of Twenty managed a blockaid to cut-off all supplies to Maximinus’ army. The tide was turned largely due to the fact that Maximinus’ Second Legion was from Latium and these Italian soldiers did not take pleasure in laying siege to their homeland. A plot emerged bwteen the Praetorian Guard and the Second Legion. Together they stormed Maximinus’ tent and killed him on the spot along with his son – Maximus Caesar. Pupienus was in the city of Ravenna where he was still trying to organize an army. 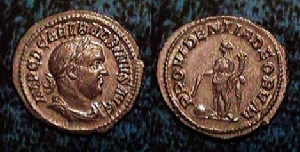 The conspirators went to Pupienus with the heads of Maximinus and his son. Pupienus discharged the men and sent the legions back to their stations. He then proceeded to Rome carrying the heads to Rome in triumph. Balbinus and Pupienus began to argue over who should be considered more senior. Balbinus believed that his experience as an administrator was more important than Pupienus’ military background. Meanwhile, the Praetorian Guard did not like serving the Senate no less two patricians. In May of 238 AD, they stormed the palace and dragged the two emperors naked into the streets where they were beaten, tortured and finally murdered after a reign of only 99 days. The young Gordian III was then hailed as emperor of the Roman Empire and the real power fell to the Praetorians. IMP. C. D. CAEL. BALBINVS AVG. IMP. CAES. D. CAEL. BALBINVS AVG.